Gumby Flexes His Digital Muscles! April 21, 2007, at 8 PM (ET/PT), Animal Planet debuts Spring Watch USA, a four-week, as-it-happens, multi-media, nationwide event. Filmed just prior to broadcast, this miniseries is a celebration of the arrival and beauty of spring across the nation. (Silver SPRING, Md.) March 21, 2007  The first “official” day of spring is March 21, but when does spring really begin? Is it with the first crocus? The return of migrating birds? Baseball players in training? It varies for everyone -- animals too -- and to celebrate the arrival of spring across the country, Animal Planet poses and answers important questions. How and where do birds migrate? Which animals give birth during the spring, and how do they survive their first season? The wildlife kingdom varies widely in the U.S. according to geography, weather and resources, and in the majority of the United States, the spring season gives birth to a change in climate, growth and temperament. This spring, Animal Planet witnesses a renaissance of nature in a premiere event that extends coast to coast  and places in between  during SPRING WATCH USA! Beginning Saturday, April 21, 2007, at 8 PM (ET/PT), Animal Planet debuts SPRING WATCH USA, a four-week, as-it-happens, multi-media, nationwide event. Filmed just prior to broadcast, this miniseries is a celebration of the arrival and beauty of spring across the nation. Hosted by Jeff Corwin (THE JEFF CORWIN EXPERIENCE, CORWIN’S QUEST) and Vanessa Garnick (CAUGHT IN THE MOMENT), viewers learn about the amazing mammals, birds and insects that herald the arrival of spring. From their SPRING WATCH USA headquarters on Kiawah Island, located off the coast of South Carolina near Charleston, Jeff and Vanessa give viewers a backstage pass to spring from the animals’ point of view. With cameras positioned in nests, caves and other habitats, Jeff and Vanessa track such inhabitants of Kiawah Island as bobcats, red-tailed hawks, alligators, bluebirds and screeching owls. Corwin and Garnick are joined by Animal Planet correspondents Philippe Cousteau (OCEAN’S DEADLIEST) and David Mizejewski (BACKYARD HABITAT), who also take cameras along as they report on animal activities from the rest of the country. Cousteau covers sea otters, sea lions and gray whales in California, from Sausalito to Monterey to the Channel Islands. Meanwhile, Mizejewski checks in on the great horned owl and the beaver in Georgia, flying squirrels in Northern Virginia and black bears in Upstate New York. · SPRING WATCH USA Tracker -- An interactive map where users can upload signs of spring to help track spring across the country. · Bird & Butterfly Guide  Identify over 100 species of birds and butterflies. · Baby Animals A-to-Z  Learn about animals born in spring. 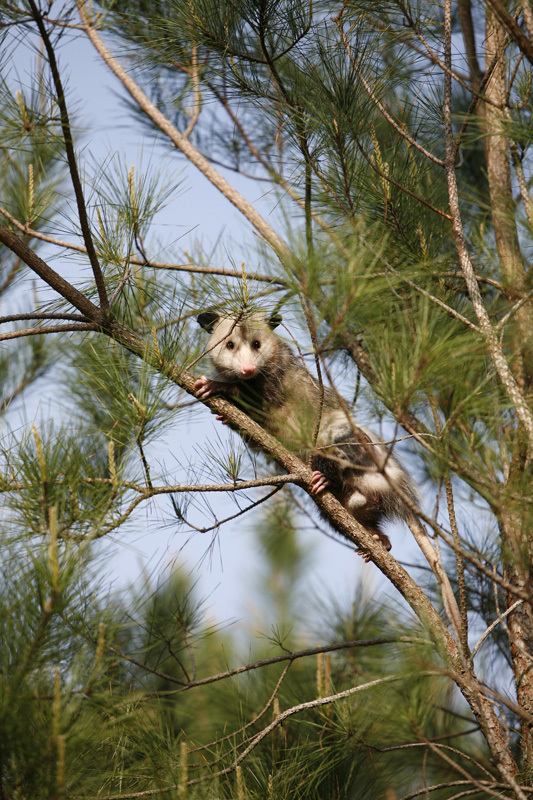 · SPRING WATCH USA / NWF Message Board  Talk with other wildlife fans! · About SPRING WATCH USA  About show, bios and episode guide. · Animal Tours  Learn more about the animals from the show. SPRING WATCH USA is a production of Painless Productions for Animal Planet. Joe Carolei and Jim Casey are the executive producers for Painless, and Maureen Lemire is the executive producer for Animal Planet. 2007 Entertainment Magazine. EMOL.org. All rights reserved.